Thanks to your feedback, Swimia has become in just several months one one of the most essential web sites of swimming pools. 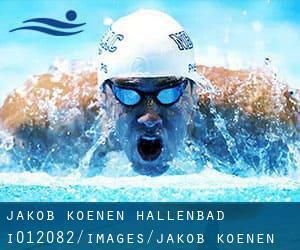 Here you could have all the info we know about Jakob-Koenen-Hallenbad, in Lippstadt. Do you know the opening hours? Are they offering any course? What's the value to get a single swim? Don't neglect you can also promote this pool so Jakob-Koenen-Hallenbad will appear the very first of Lippstadt, or even the first of your country, contact us to know even more. Swimmers like you reported 25 meters, 4 lanes, Indoors. Unfortunately we do not have the email address of this Swimming Pool, but we can provide you with the phone number. Updated on 2019 Volksgartenstrasse 80 , Lütgendortmund , Dortmund , GERMANY (Postal Code: 44388). Swimmers like you reported 25 meters, 6 lanes, Indoors. Phone number and e-mail address are number for this Swimming Pool. Updated on 2019 Le-Puy-Strasse 43 , Meschede , GERMANY (Postal Code: 59872). Among all the activities offered by the center, if you are thinking about swimming you will take pleasure in 25 meters, 4 lanes, Indoors. Just in case you would like to contact this Swimming Pool before dropping by, we only know the phone number. Updated on 2019 Mackenrothweg 20 , Scharnhorst , Dortmund , GERMANY (Postal Code: 44328). This sports center delivers 25 meters x 12.5 meters, 6 lanes, 1.3 meters - 3.4 meters depth, 1.3 meters - 3.4 meters depth, Indoors. For this Swimming Pool, only phone number is number here. Updated on 2019 Höppe 11 , Werl , GERMANY (Postal Code: 59457). Among all the activities offered by the center, if you're thinking about swimming you will enjoy 25 meters, 5 lanes, Indoors. If you must contact this Swimming Pool, e-mail address and phone number are both number. Updated on 2019 Neumarkstrasse 40 , Mengede , Dortmund , GERMANY (Postal Code: 44359). Swimmers like you reported 25 meters x 12.5 meters, 6 lanes, 1.3 meters - 3.5 meters depth, 1.3 meters - 3.5 meters depth, Indoors. Phone number and e-mail address are number for this Pool. Updated on 2019 Leopoldstrasse 50 - 58 , Dortmund-Mitte , Dortmund , GERMANY (Postal Code: 44147). This sports center delivers 25 meters x 10 meters, 5 lanes, Indoors. For this Pool, only phone number is number here. Updated on 2019 Oesterstrasse 68 , Brackel , Dortmund , GERMANY (Postal Code: 44309). This sports center offers 25 meters, 6 lanes, 1.3 meters - 3.5 m depth, 1.3 meters - 3.5 m depth, Indoors. Contact information for this Pool such as phone number and e-mail address are number. Updated on 2019 Auf´m Ohl 12 c , Lennestadt - Meggen , GERMANY (Postal Code: 57368). Swimmers like you reported 25 meters x 8 meters, 4 lanes, 0.9 meters - 3.5 meters depth, 0.9 meters - 3.5 meters depth, Indoors. Unfortunately we do not have the email address of this Swimming Pool, but we can provide you with the phone number. Updated on 2019 Stettiner Straße 1 bis 3 , Bochum , GERMANY (Postal Code: 44809). This sports center provides 25 meters, 6 lanes, Indoors. For this Swimming Pool, only phone number is number here. Updated on 2019 Brannenweg 10 , Bochum , GERMANY (Postal Code: Unknown). Among all the activities offered by the center, in case you are thinking about swimming you'll appreciate 25 meters x 15 meters, Indoors. Just in case you want to contact this Swimming Pool before dropping by, we only know the phone number. Updated on 2019 Ruhrallee 30 , Dortmund-Mitte , Dortmund , GERMANY (Postal Code: 44139). Few days ago a normal user of this center told us they offer Olympic size x 20 meters, 8 lanes, Indoors. Furthermore, they keep in good conditions 20 meters x 10 meters, Indoors. For this Swimming Pool, only phone number is number here. Updated on 2019 Eichsfeld 5 , Hörde , Dortmund , GERMANY (Postal Code: 44265). Among all the activities offered by the center, if you are considering swimming you will appreciate 25 meters x 12.5 meters, 6 lanes, 1.3 meters - 3.5 meters depth, 1.3 meters - 3.5 meters depth, Indoors. Just in case you would like to get in touch with this Pool before dropping by, we only know the phone number. Updated on 2019 Hustadtring 157 , Bochum , GERMANY (Postal Code: 44801). Among all the activities offered by the center, for anybody who is interested in swimming you may enjoy Olympic size, 10 lanes, 1.1 meters - 3.8 meters depth, 1.1 meters - 3.8 meters depth, Indoors. Just in case you want to contact this Swimming Pool prior to dropping by, we only know the phone number. Updated on 2019 Am Markt 2 , Finnentrop , GERMANY (Postal Code: 57413). This sports center offers 25 meters x 10 meters, Indoors. Contact information for this Swimming Pool similar to phone number and email address are number. Updated on 2019 Seeweg 5 , Olpe , GERMANY (Postal Code: 57462). Among all the activities offered by the center, if you are interested in swimming you will take pleasure in 25 meters, Indoors. If you should contact this Pool, e-mail address and phone number are both number.